Labor Day weekend means that the last blissful days of summer are coming to a close. We filled our summer with plenty of travel, including Kimberly's epic trip exploring Amsterdam and the Dutch countryside, Megan's beach vacation and Devon's weekend visits back to NYC. With so many miles of travel logged at the Canvas office, we've become seasoned pros at not only packing light but figuring out sneaky ways to make sure we have everything we need when traveling. To help you prep for your Labor Day travel (and beyond), we are dishing on our favorite cosmetic bags and beauty hacks that keep us stylish. I am a bit of an organization freak and need a travel case with lots of compartments. I love this bag from Nordstrom Rack because it has a top zipper section for makeup with special brush storage and a larger bottom section for my face wash, shampoo, etc. I purchased this Toiletry from Flight001 in Hayes Valley and couldn't be happier. After years of making due with many little bag, this Spacepak holds it all for long journeys. I love that it has a hook to keep you hands free in tiny bathrooms. My everyday cosmetic bag is stuffed to the brim with beauty products I rarely use. 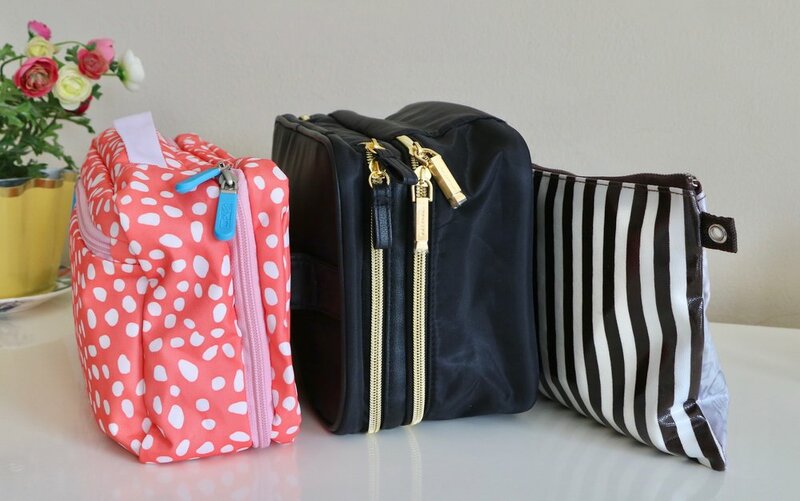 I recently made the switch to this more compact bag from Henri Bendel to focus on the products that actually work best for me. I love this pouch for traveling because I only bring exactly what I need, plus it's just super cute! From face masks to fragrance, here are our favorite hacks when getting ready to take off. 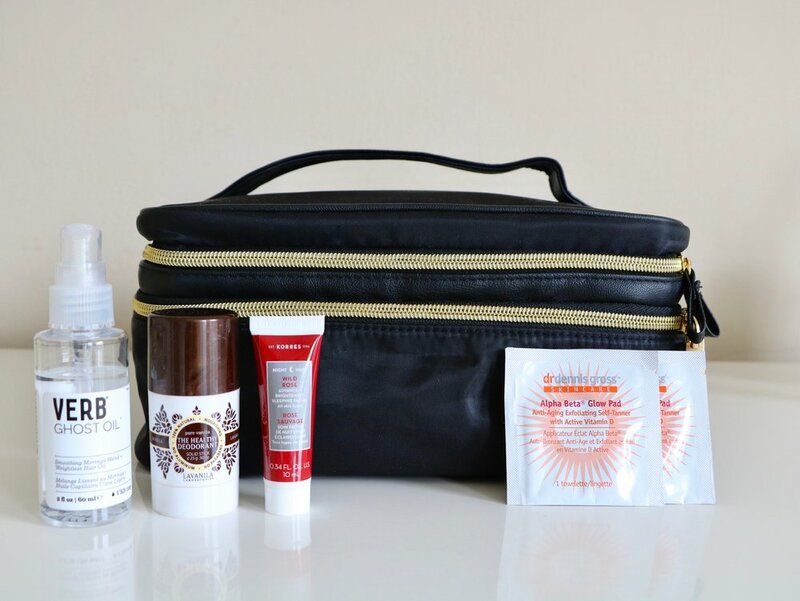 Posted on August 29, 2017 by Megan Zatko and filed under Tips & Tricks, Stylish Living and tagged travel Labor Day flight001 spacepak henri bendel toiletry bag travel essentials Nordstrom Rack.